Everybody Hurts by R.E.M is no. 2 on my Top 60 Fingerpicking Songs of ALL TIME list. 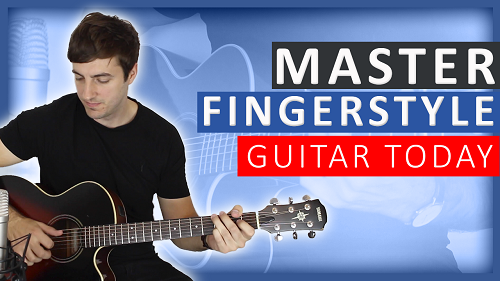 This song is a great one to learn if you're new to fingerstyle because it's not too demanding on your right hand and has straight forward fingerpicking patterns throughout the song. 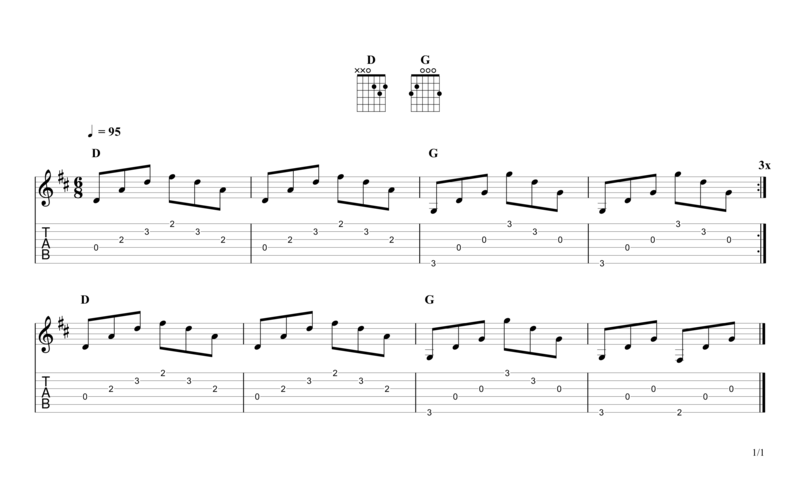 If you are new to fingerpicking and/or playing guitar in general, you may find the that bridge is a little difficult as it uses some barre chords but hopefully you'll be ok with the verse and chorus as they both use just standard open chords. Everybody Hurts is in the key of D major and in 6/8 time, this means that you play 6 eighth note beats per bar and count 1 2 3 4 5 6 throughout the entire song. 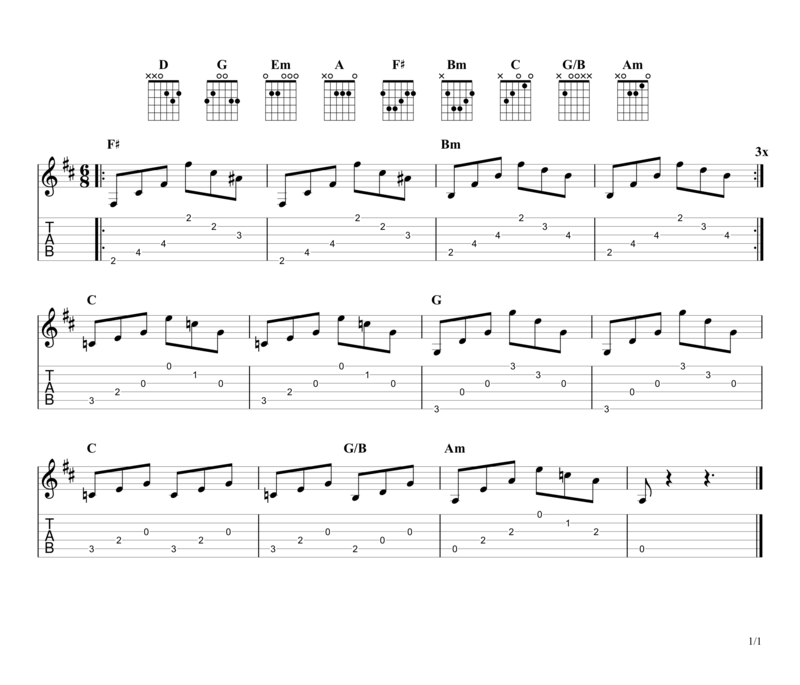 It's just two chords for the intro. As you start playing make sure that all the strings ring out and that all the notes ring into each other. The only difference between the intro and the verse is the ending of the verse. Here, the bass note starts its descent down to the Em chord for the beginning of the chorus. 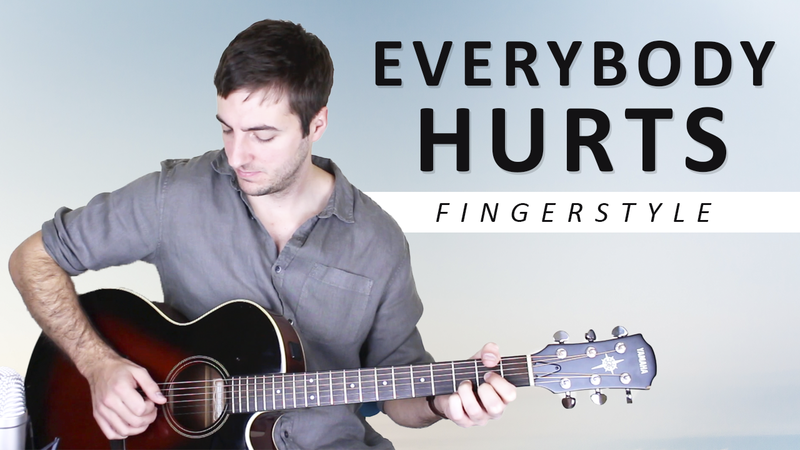 For the chorus of Everybody Hurts we are playing just Em and A, and although the patterns have changed from the verse they're still very similar and shouldn't be too tricky to play. 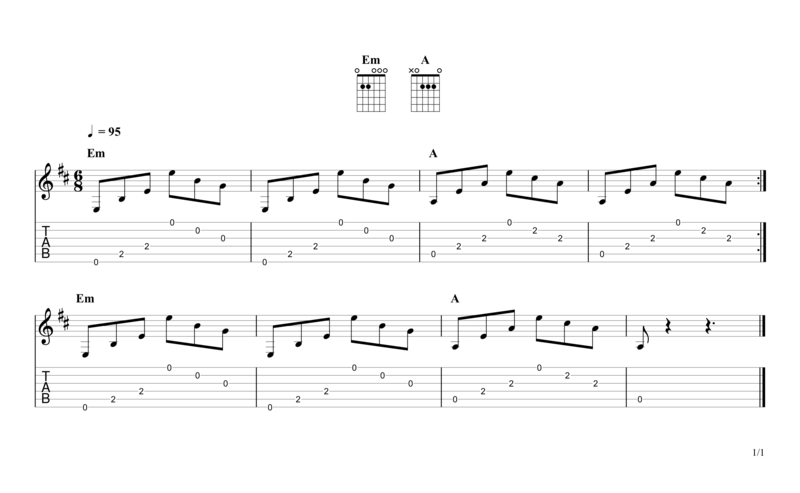 The bridge is certainly a little trickier than the rest of the song but this is only because of the two barre chords you have to play - F# and Bm. 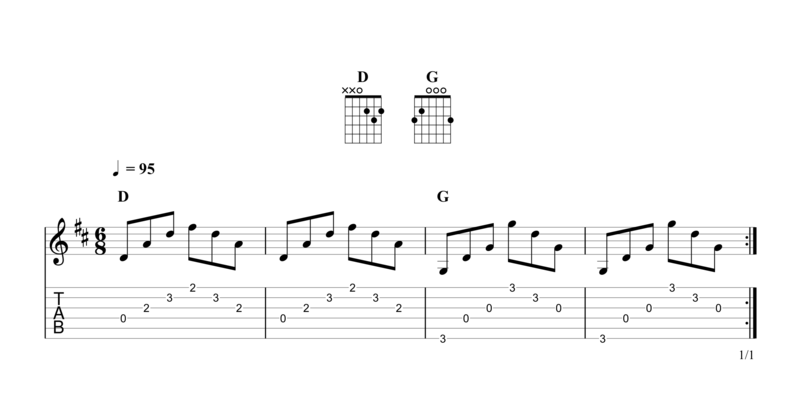 If you haven't played these chords before you will find it difficult to get all the strings to ring out cleanly and to change between the two chords. However, it is well worth putting in the time to get your barre chords mastered as so many songs use them and you simply can't avoid them for long. 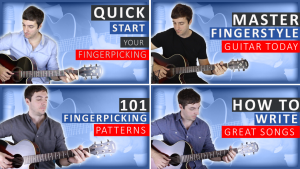 You can also take my Complete Beginner's Guide to Fingerpicking Guitar course to make sure you really are developing perfect technique. You’re doing a good work by the way !!!!!!! Funny you should say that, next week’s song is Why Georgia. Then a few weeks after we’re doing Stop This Train and Neon too.